In 1795, he opened his own art academy, which was not a success, and in 1805, he became one of the founders of the Pennsylvania Academy. His father was a schoolmaster who died prematurely, and Charles grew up as the eldest son in Annapolis, Maryland and helped support his widowed mother. He apprenticed in saddle making, silver smithing, sign painting and portraiture, and had several lessons with painter John Hesselius to whom he gave a saddle in exchange for instruction. He also studied in Boston with portraitist and silversmith John Singleton Copley and with painter John Smibert. When he returned to Maryland from his Boston training, his talent was recognized by men who were planters and they raised subscription money for him to study with expatriate history and portrait painter, Benjamin West, in London. He also studied the Italian masters in Italy. In 1769 he returned to Annapolis and there became an established portraitist in the neo-classical style learned from Benjamin West. For additional commissions, he traveled to Baltimore, Philadelphia, and Williamsburg, Virginia and to Mount Vernon, home of George and Martha Washington. In 1775, he moved to Philadelphia where he hoped to find more portrait subjects. Shortly after, he joined the militia and fought with Washington at the battles of Princeton and Trenton, and during this period created miniatures of army personnel. In 1778, he settled in Philadelphia but continued to visit Baltimore and the eastern shore of Maryland. From 1810 to 1821, he lived as a gentleman farmer near Philadelphia but returned to the city in 1822 to take over the management of the Peale Museum. His fourteen portraits of George Washington include the first authentic likeness of him and include seven portraits painted from life. At Valley Forge where he was painting General Washington, Peale also painted portraits of many other colonial leaders including the Marquis de Lafayette. An outspoken anti-royalist, Peale served in the Revolutionary War and alienated many of his wealthy patrons with their British loyalties. From three marriages, he had three children, many whom became artists. 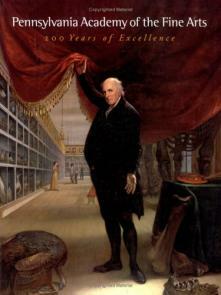 In 1827, Charles Peale died at age 86, the result of catching a cold while crossing a body of water to court a woman.